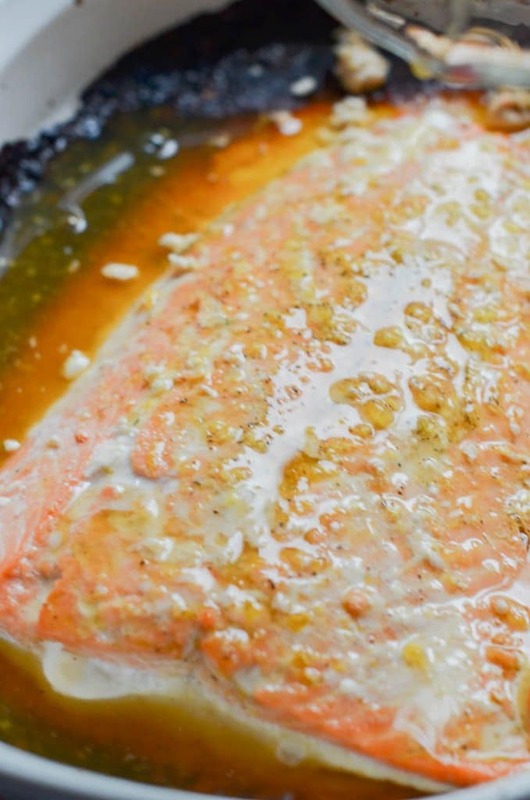 Home » Dinner » How to Make Orange Glazed Salmon! 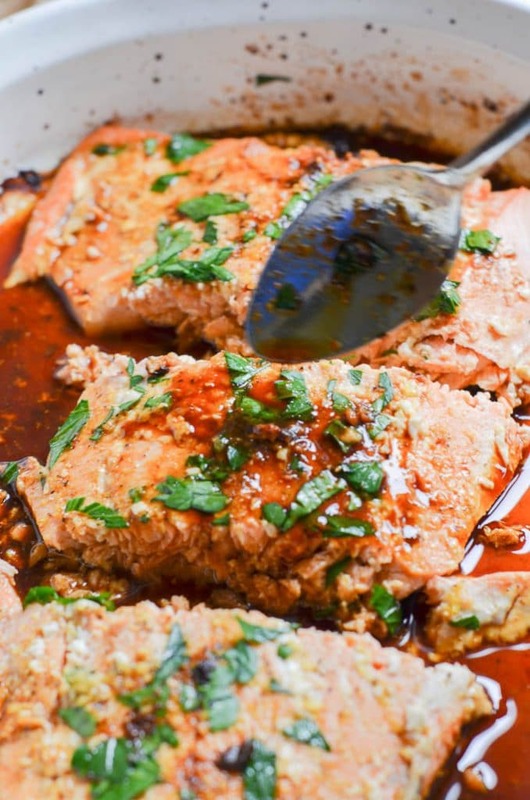 Juicy, flaky baked salmon with finger licking good orange glaze sauce. 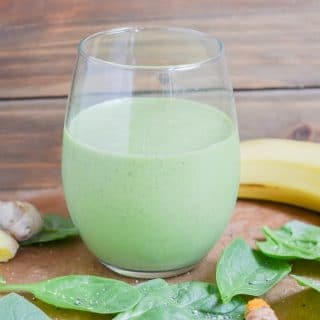 The simplest prep imaginable and all ready in 30 minutes, start to finish! 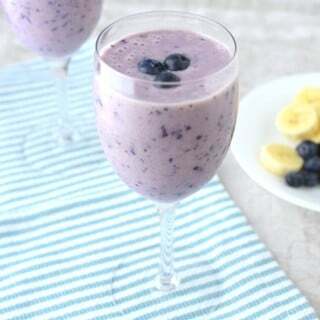 This delicious recipe will be on your regular meal rotation! Looking for easy, weeknight dinner recipes? 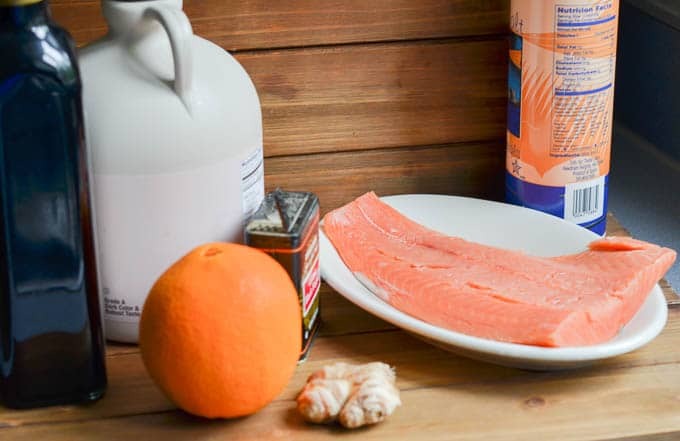 The marinade for this orange glazed salmon can be prepared in advance or made right when you are ready to cook your salmon. 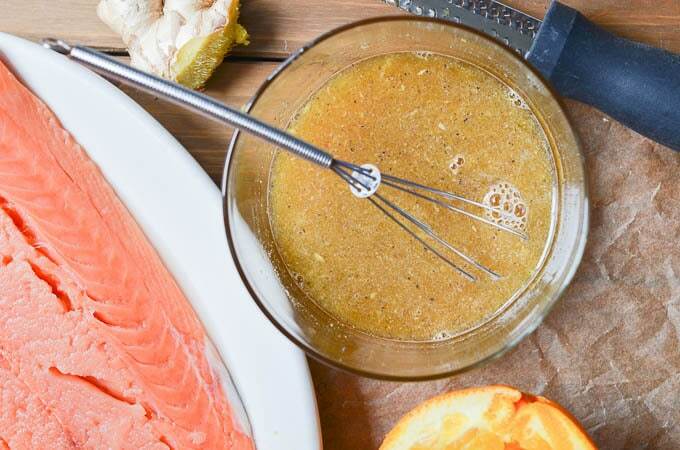 Use half as the marinade, and then save half to pour over your cooked salmon for extra flavor. Rinse and pat dry salmon fillet. 4. Combine ingredients in a small mixing bowl, (freshly squeezed orange juice, freshly grated ginger, maple syrup, vinegar, salt, and pepper) and whisk together. Honey would be an acceptable substitute for the maple syrup. I use an orange juicer like this and it’s a lifesaver! Tip: To remove the skin of the ginger, use a spoon to pull away from the ginger skin. A small paring knife will also work. 5. 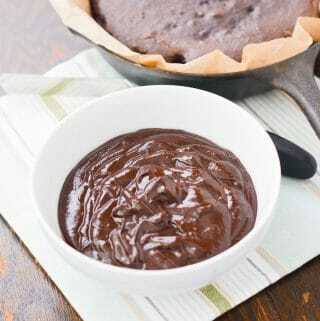 Your freshly whisked glaze will look like the photo below. 6. Prepare the casserole dish by greasing with 1 tablespoon olive oil. I use a washable brush like this one to spread the oil around the dish. Place the salmon in the casserole dish. Measure half the glaze (about 1/4 cup). 7. Pour half the glaze over the salmon and set aside the remaining glaze. 8. Bake in the oven for approximately 20 minutes until the salmon is cooked through. Overall cooking time may vary slightly depending on the thickness of your fish. 9. Pour remaining glaze over baked salmon. 11. 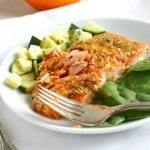 Continue to pour glaze from casserole dish over baked salmon and sprinkle salmon with fresh chopped herbs such as parsley (optional) if desired. Add sliced oranges to the casserole dish to cook alongside the salmon as a garnish. 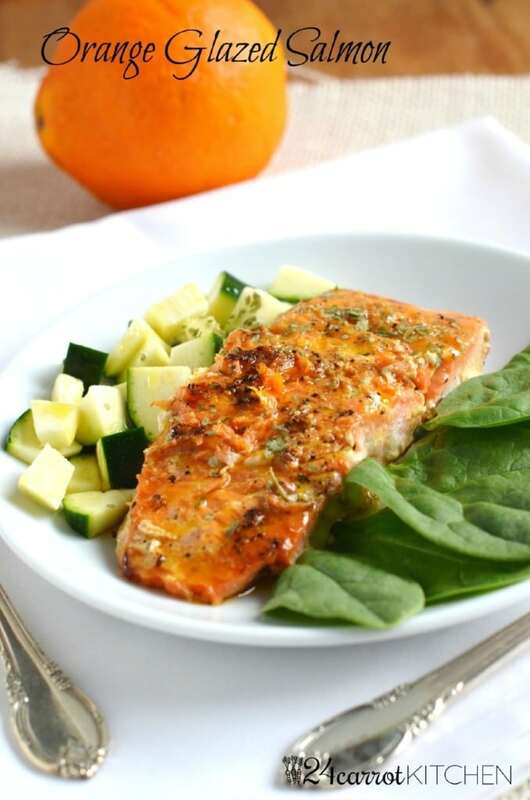 Use wild-caught salmon for best taste and a dose of healthy omega 3 fats. Store leftover knobs of ginger in the freezer for use in this and future recipes. Use this grater for easily grated fresh ginger. Drizzle salmon with casserole dish juices. May substitute honey for the maple syrup. Looking for other amazing salmon recipes? Check these out! Sauteed Skillet Salmon with Vegetables! Juicy salmon slathered in a finger licking good orange glaze! All ready in 30 minutes start to finish! Will become a favorite on the dinner rotation. 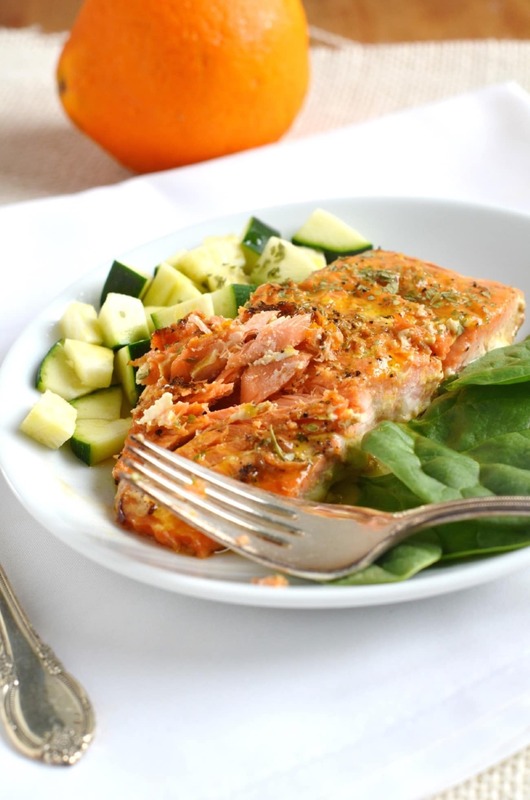 Use wild salmon to load up on healthy omega three fatty acids. 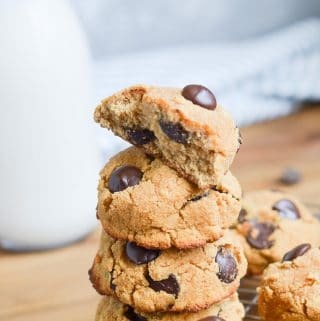 Paleo, grain-free, gluten-free and dairy-free. 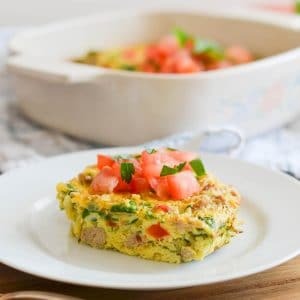 Lightly coat a casserole dish with about one tablespoon of olive oil. Rinse and pat dry salmon fillet. 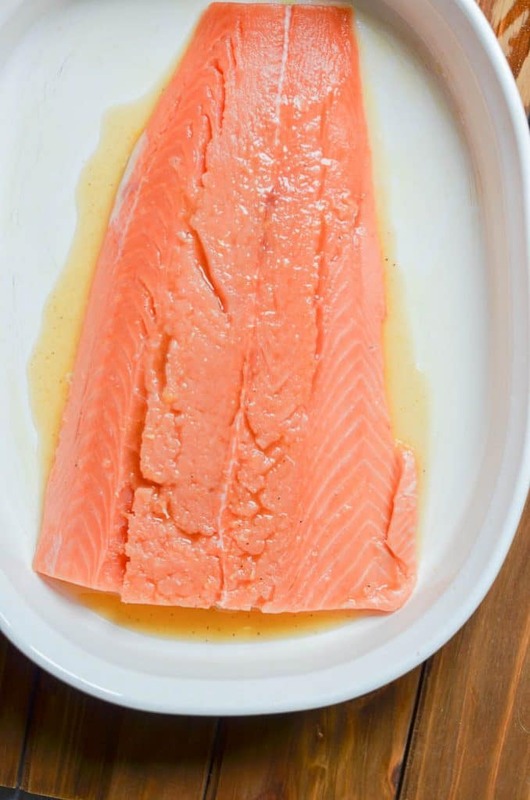 Place salmon in the casserole dish, skin side down. 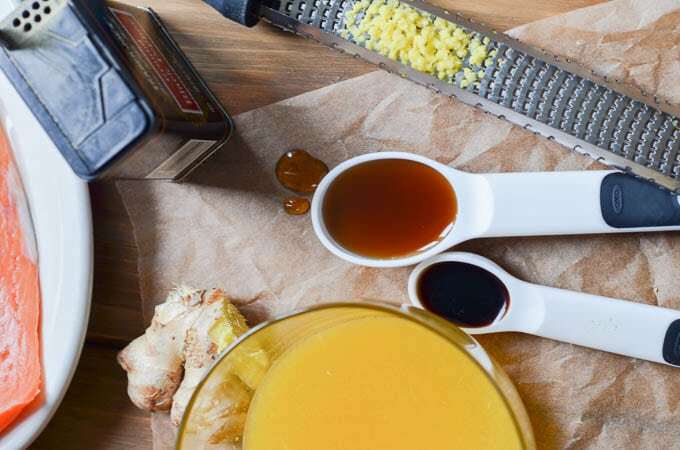 Place orange juice, maple syrup, vinegar, ginger and salt and pepper in a bowl and whisk together. Set aside. Pour 1/2 of the glaze over the salmon fillet. 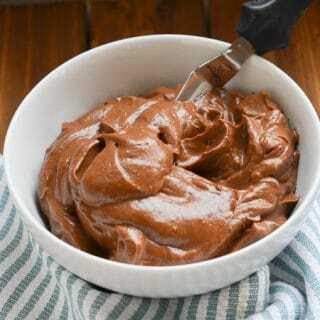 About 1/4 cup. Set aside the remaining glaze. Bake salmon for approximately 20 minutes until cooked through. Notes: Overall cooking time may vary slightly depending on the thickness of your fish. Pour remaining glaze over the baked salmon. Sprinkle with chopped herbs, like parsley, if desired. 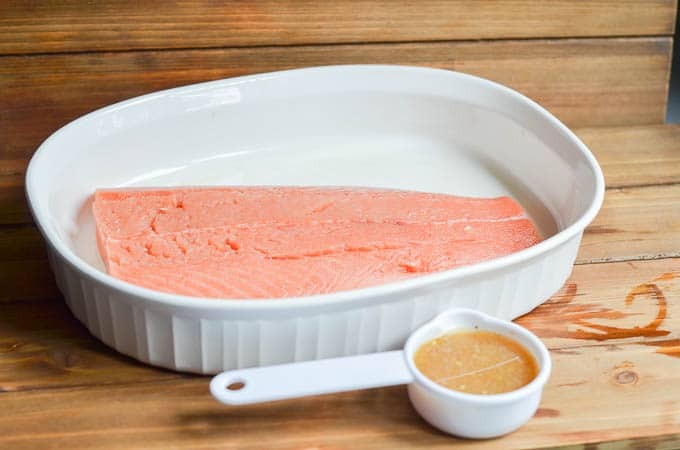 Continue to spoon glaze from casserole dish over salmon. Serve immediately. Notes: Overall cooking time may vary slightly depending on the thickness of your fish. To remove the skin of the ginger, use a spoon to pull away the ginger skin or a small paring knife will work. 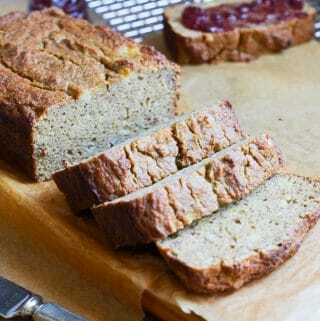 Update Notes: This post was originally published on September 29, 2015, but was republished with an updated recipe, new photos, step by step instructions and photos, baking tips and a video in October 2018. 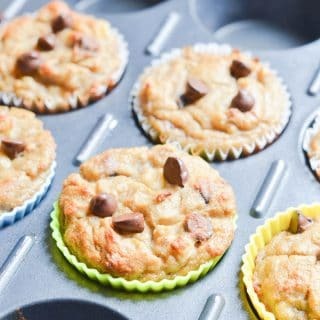 Previous Post: « How To Make The BEST Coconut Flour Muffins! I happened upon your blog, and I find it delightful! This orange salmon glazed with maple syrup? Looks soo lish, and I’ve pinned it. Thanks! 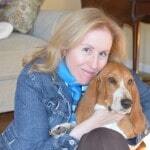 Hi Ginger, Thanks so much!